The Union Cycliste Internationale (UCI) will be testing riders for Tramadol from the first of March. The use of this pain killer will be banned across all disciplines. In September of 2018, the UCI announced that Tramadol was set to be included in the list of doping substances. Tramadol is an opioid pain medication that is used to treat moderate to moderately severe pain. Experts and team had been pressing the UCI on the matter and it took the decision of banning it from March of 2019. "The use of tramadol can have two types of side-effect: nausea, drowsiness and loss of concentration (increasing the risk of race crashes), and gradual dependence on the substance with a risk of developing an addiction," said the cycling governing body in a press release. "Tramadol is available on prescription but is also freely available on the internet, which increases the risk of uncontrolled self-medication. In light of the risks associated with its use in competitive cycling, and in accordance with the UCI Management Committee decision of June 2018, the UCI Medical Regulations will ban in-competition use of tramadol." 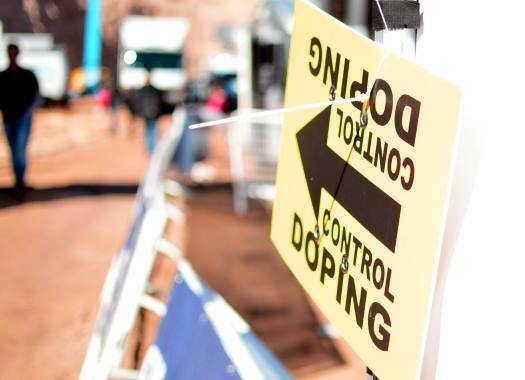 From March, the UCI will conduct random tests to riders that are taking part in any event registered on a national or international calendar. "Testing will take place in-competition, in particular, but not only at the end of the races," explained the UCI. "The sample collection is not invasive and will be conducted using a sampling kit to collect a limited amount of blood from the rider's fingertip. "This will be managed by the UCI's Medical Director, with logistical and personnel support from the Cycling Anti-Doping Foundation (CADF). Like in anti-doping, avoiding a tramadol test will be treated as a positive test." The penalties for a positive for Tramadol will not be as high as they are with other substances. "A first offence committed by a rider will be penalised with disqualification from the event. In addition, a fine of CHF5,000 will be imposed if the rider is a member of a UCI-registered team. In all other cases, the fine will be CHF1,000. "A second offence will result in disqualification from the event and a five-month suspension. If a further offence is committed, a nine-month suspension will be imposed. If two riders belonging to the same UCI-registered team commit an offence within a period of 12 months, the team will be fined CHF10,000. If a further offence is committed within the same 12-month period, the team will be suspended for a period of 1 to 12 months, to be determined by the UCI Disciplinary Commission."